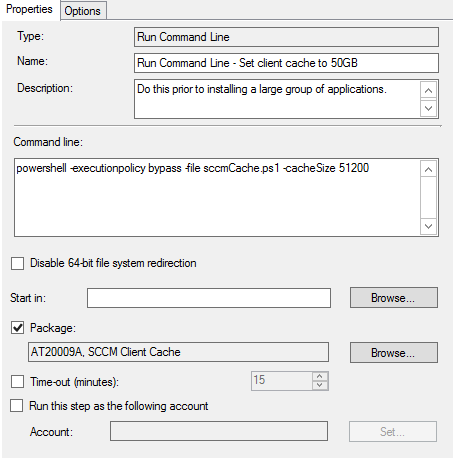 This script modifies the SCCM client cache on the computer. Default cache size is 5120 MB. If there's a cacheSize parameter, it must come before the clearCache parameter. Write-Host "Setting new SCCM client cache size: $cacheSize"
Write-Host "Clearing SCCM client cache"
Let me know your thoughts, suggestions, or issues in the comments below.